The expected growth of the coal seam gas industry in Australia requires baseline information for determining any potential long-term impacts of the industry. As such, a 1-year atmospheric time series measuring radon (222Rn), methane (CH4), carbon dioxide (CO2), δ13C-CO2 and δ13C-CH4 was conducted in an area where coal seam gas (CSG; also referred to as coal bed methane) extraction is proposed (Casino, New South Wales, Australia). We hypothesise that 222Rn can be used as a tracer of soil-atmosphere CH4 and CO2 exchange, and that carbon stable isotope values of atmospheric CH4 and CO2 can be used to identify the source of greenhouse gases. Radon, CO2 and CH4 followed a diurnal pattern related to increased concentrations during the formation of a nighttime inversion layer. 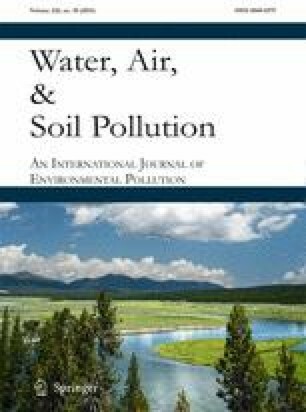 The study found a significant inverse linear relationship between 222Rn concentrations and both rainfall (r 2 = 0.43, p < 0.01) and temperature (r 2 = 0.13, p < 0.01), while atmospheric pressure, wind speed and wind direction affected concentrations to a lesser degree over seasonal time scales. 222Rn had a significant, but weak positive correlation with both seasonal CO2 (r 2 = 0.15, p < 0.01) and CH4 (r 2 = 0.11, p < 0.01) concentrations. The uncoupling between 222Rn and CO2 and CH4 was likely due to biogenic sources and sinks of CO2 and CH4. δ13C values of CO2 and CH4 indicated variability in the source and sinks of the gases that seems to be linked to different seasonal, soil and spatial sources. This study provides baseline data from a proposed coal seam gas field from which future comparisons can be made. We would like to thank the landowner for allowing us to deploy the monitoring station on their property. The analytical instrumentation was funded by ARC grants (LE120100156 and DP120101645) and the Hermon Slade Foundation. Thanks to Richard Boulton, Rachael Davis and John Revington for their efforts in deploying the station and collecting data. DTM and IRS are supported through Australian Research Council DECRA Fellowships (DE140101733 and DE150100581). Field investigations were partially supported by a Northern Rivers Regional Organisation of Councils (NOROC). The study design, sampling, data analysis and manuscript compilation was conducted by personnel not directly related to any funding sponsor and have no conflict of interest. No human participants and/or animals were studied.